Neeraj Kumar Sainy and Ors Vs. State of U.P. and Ors. Respondent: State of U.P. and Ors. 9. The Court noted the submissions of the learned counsel appearing for the parties and directed as follows:- “In the circumstances, we direct that the State Government shall as expeditiously as possible revise and redraw the merit list of the candidates keeping in view Regulation 9 of the Medical Council of India Postgraduate Medical Education Regulations, 2000 and giving to the eligible candidates such weightage as may be due to them for rendering service in notified rural and/or difficult areas and to grant admission to the candidates found suitable for the same on the basis of such redrawn merit list. This exercise shall be completed before 30-5-2016, the last date fixed for granting of admission. The entire exercise so conducted shall, however, remain subject to the outcome of these proceedings”. 13. The appellants, as the facts would unroll, filed writ petition before the High Court seeking writ of mandamus for holding the second, third and mop-up round of counselling as prescribed in the information brochure and to ensure that no seats in any of the courses advertised in the brochure is allowed to go vacant in the academic session 2016-2017. The appellants contended before the High Court that the respondents were bound to give effect to the prescription contained in the information brochure which is mandatory and, therefore, the authorities are under obligation to hold second and third round of counselling and that they had misread and misapplied the judgment dated 16.08.2016; that there was infringement of their rights as they had been denied admission in the institution of their choice in accordance with merit that too when number of seats were lying vacant in several medical colleges; that in the previous academic session 2013-2014, the counselling was done after the cut-off date and the admissions were given to the candidates and hence, it would be in the interest of the students to issue directions for filling up unfilled seats. 14. Learned counsel for respondent No.2, opposing the relief sought by the appellant, submitted before the High Court that this Court in Mridul Dhar (Minor) (supra) has held that time schedule in respect of admission in postgraduate courses and super speciality courses should be strictly adhered to wherever provided; that there should not be midstream admissions; that admissions should not be in excess of sanctioned intake capacity or quota and carrying forward of unfilled seats of one academic year to another is not permissible. Reliance was also placed on the authority in Priya Gupta (supra), wherein it was directed that if anyone who fails to comply with the directions stricto sensu shall be liable for action under the provisions of the Contempt of Courts Act. It was further contended before the High Court by the respondent No.2 that in terms of the interim order of this Court, all the seats were allotted to the respective candidates and the admission process stood completed by 30.05.2016 and as regards unfilled seats, only 11 seats were lying vacant on account of non- joining of the candidates and no further steps could be taken on account of embargo put by the MCI with regard to the last date for completion and the time frame could only be altered or modified by this Court. 15. Considering the rival submissions, the High Court accepted the submissions of the respondent and dismissed the writ petition. Hence, the present appeal. 16. We have heard Mr. Yatindra Singh, learned senior counsel along with Mr. A.S. Pundir, learned counsel for the petitioners and Ms. Indu Malhotra, learned senior counsel, Mr. Irshad Ahmad, AAG and Mr. Gaurav Sharma learned counsel for the respondents. 17. Learned senior counsel for the appellants would submit that the maxim actus curiae neminem gravabit or “an act of the court shall prejudice no man” is a settled principle of law and applicable in the present case. 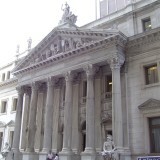 It is further contended that the delay in holding counselling was due to the orders passed by or delay in this Court which should not prejudice the appellants; that there was no delay on the part of the appellants but on account of orders passed by this Court or delay was caused in the proceedings or time taken by the State or by the MCI to file reply; that the Information Brochure of the examination body provided for holding three round of counselling and then mop-up round and under the latest amendments of the regulations, only two rounds of counselling was permitted and in the case of the appellants only one round of counselling had taken place and the second round was yet to take place; that the brochure as well as regulations provide counselling to be held first in which all can participate and thereafter the mop-up round to be conducted; that in the instant case, second round of counselling had not taken place and it should be held first and then, if the need be, the mop-up round should be held; that 71 seats are lying vacant in the State Government Colleges and non- filling of these seats will lead to waste of government investment, its resources and their full potential will not be utilized; that it is in public interest that further counselling should be held as has been held for University of Delhi and the States of Telangana and Andhra Pradesh. 18. Per contra, learned counsel for the State submitted that the legal position with regard to vacant seats after the cut-off date and extra round of counselling is settled in the decision of this Court in Supreet Batra and others v. Union of India and others, wherein it has been held that after the expiry of cut-off date, the seats lying vacant cannot be filled up by way of conducting extra round of counselling. He further submitted that pursuant to the order of the High Court quashing the policy decision of the State Government wherein provisions were made for giving reservation in post graduate courses for the doctors of Provincial Medical Services, who had worked continuously for three years in notified backward areas within the State, State of U.P. had preferred special leave petition wherein this Court vide order dated 12.05.2016 directed the State Government to revise and redraw the merit list and in pursuance of that order, State Government had redrawn the merit list and fresh counselling was held on 27.05.2016 and all the seats were filled up, except 71 seats which remained vacant due to non-availability of the candidates for the said courses. Therefore, in such circumstances no further counselling was required. It is further submitted by the learned counsel for the State that the seats became vacant after the cut-off date in different Government Medical Colleges because after taking admission some of the candidates had either resigned from the allotted seats or not joined the courses after admission. 19. Be it noted that IA No.3 of 2016 was filed by the applicants seeking “mop-up” round of counselling for filling up the vacant seats which arose due to non-joining or resignation after de novo counselling on the basis of clause 15 of the Information Brochure for the UPPGMEE, 2016. Ms. Indu Malhotra, learned senior counsel submits that in the present case only one round of counselling took place as the criteria for preparing the merit list was changed vide order of this Court. It is further submitted by her that after de novo round of counselling held on 30.05.2016, large number of candidates did not join the allotted seats as a result of which almost 100 seats in various Government medical colleges have fallen vacant. To substantiate her claim, she relied on the order dated 01.09.2016 and 08.09.2016 passed by this Court in S.L.P. (Civil) No. 19633 of 2016 wherein this Court directed the University of Delhi to conduct one more round of counselling for vacant seats within a period of two weeks and the States of Andhra Pradesh and Telangana to conduct one more round of counselling to fill up all the vacant seats. In effect, the submission of the learned senior counsel is that the appellants and applicants are similarly situated and by redrawing the merit list, the right of the applicants to appear in the second and third counselling is denied. 20. The submission of Mr. Singh, learned senior counsel is fundamentally entrenched on the principle actus curiae neminem gravabit. The said submission is structured on the factual score that the time schedule could not be followed because of the directions of this Court issued vide order dated 12.05.2016 and eventually it became final on 16.08.2016 for which no fault can be found with the appellants. 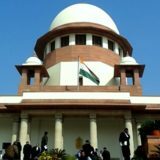 The prayer of the appellants to hold further counselling in respect of 71 seats was done in promptitude and, therefore, the High Court would have been well advised to direct for holding counselling or mop-up counselling so that the seats would not remain vacant and the procedure would have been duly complied with. Reliance has been placed on certain orders passed by this Court in respect of the University of Delhi and the States of Telangana and Andhra Pradesh. 22. The situation in the case of the said two States is totally different than the present one. In the instant case, the appellants approached the High Court only on 01.09.2016. They did not choose to move this Court when the case of Dinesh Singh Chauhan (supra) was pending. They were aware that such a litigation was pending before this Court. Despite the same, they chose to maintain a sphinx like silence. It is beyond any trace of doubt that admission to post graduate courses for the academic session 2016-2017 in the State of Uttar Pradesh stood concluded by this Court as per the decision in Dinesh Singh Chauhan (supra). Had the grievance been raised before this Court at the time when the special leave petitions were filed in respect of the seats lying vacant, the matter could possibly have been differently perceived. Mr. Gaurav Sharma, learned counsel appearing for the MCI would submit that the appellants only woke up from the slumber after this Court, in exercise of power under Article 142 of the Constitution, permitted the States of Andhra Pradesh and Telangana to hold counselling concurring with the view of the High Court and also directed University of Delhi to conduct an extra round of counselling beyond the cut-off date regard being had to the peculiar facts and circumstances of the case. It is urged by him that in such a situation, the appellants cannot be permitted to advance the stand that nobody should suffer for the fault of the court. 31. It is noticeable from the aforesaid passage that the interpretation was made in accordance with the Code and the legal maxim was taken as a guiding principle. Needless to say, it is well settled in law that no one should suffer any prejudice because of the act of the court. The authorities that we have referred to dealt with the different factual expositions. The legal maxim that has been taken recourse to cannot operate in a vacuum. It has to get the sustenance from the facts. As is manifest, after the admissions were over as per the direction of this Court, the appellants, who seemed to have resigned to their fate, woke up to have control over the events forgetting that the law does not assist the non-vigilant. One cannot indulge in luxury of lethargy, possibly nurturing the feeling that forgetting is a virtue, and thereafter, when the time has slipped through, for it waits for none, wake up and take shelter under the maxim “actus curiae neminem gravabit”. It is completely unacceptable. 32. Considering the precedents where the legal maxim actus curiae neminem gravabit has been applied, we are compelled to form the opinion that the said maxim is not applicable to the factual score of the present case. Once the said principle is not applicable, the rest of the submissions pertaining to seats going waste or the State losing its investment or the suffering of the students or claim of parity with other students have no legs to stand upon. It is because to give indulgence to the appellants or the interfering with the impugned order would only give rise to chaos; and it is an accepted norm that law does not countenance any chaos and abhors anarchy. 33. Consequently, the appeal, being sans substance, stands dismissed. There shall be no order as to costs. Tags: CIVIL APPEAL NO. 11974 OF 2016DIPAK MISRA AMITAVA ROYNeeraj Kumar Sainy and OrsState of U.P. and Ors.